With over 25 years of managing complex systems integration and software development projects, Kevin Aguanno is known in the industry for his innova­tive approaches to solving common project management problems. 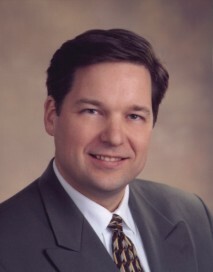 He focuses on two project management specialty areas: agile project management and troubled project recovery. As a well-known keynote speaker, trainer, and coach in agile management meth­ods, Aguanno has taught thousands of people how to better manage high-change projects by using techniques from Scrum, Extreme Programming, Feature-Driven Development, OpenUP and other agile methods. He is a frequent presenter at conferences and private corporate events where he delights audiences with practical advice peppered with fascinating stories from his own experiences in the trenches practicing agile project management. He has taught for several years at the University of Waterloo and the University of Toronto where he won the coveted SCS Excellence in Teaching Award, and is a regular guest lecturer in software engineering and project management classes at several other universities. He is a PMI-certified Project Management Professional (PMP), and his competency is certified by IBM as a Certified Executive Project Manager and by the International Project Management Association (IPMA) as a Certified Senior Project Man­ager (IPMA Level B). He is certified by the Scrum Alliance as both a Certified ScrumMaster (CSM) and Certified Scrum Professional (CSP), by the Project Management Association of Canada as a Certified Agile Project Manager (Cert.APM), and the Project Management Institute has awarded him its PMI Agile-Certified Practitioner (PMI-ACP) designation. Aguanno is an active member of the Project Management Institute (U.S.A.) including the Information Systems SIG, the Association for Project Management (U.K.), the Project Management Association of Canada where he is a founding director and the current President, the Agile Alliance, and the Scrum Alliance. He is accredited by the International Project Management Association (founded in Switzerland) as a project management competency assessor, and he performs IPMA assessments for the ASAPM in the U.S.A. and the PMAC in Canada. In 2013, the PMAC formally recognized Aguanno with its highest honor by naming him a Fellow of the Project Management Association of Canada (FPMAC). Kevin Aguanno is the author of over thirty books, audiobooks, DVDs, and CD-ROMs in addition to a number of articles published in magazines and journals worldwide. What are People Saying About Kevin Aguanno? "Kevin has made significant contribution to the field of project management, especially in Canada, through his consulting, training, writing, speaking, and advocacy activities. He consults to Canada's largest organizations, has provided project management training to thousands of students, written and published books and articles on project management, spoken to thousands of people at meetings and conferences. He is tireless in his efforts to spread the knowledge and skills for managing projects as broadly as possible -- to businesses, universities, professional organizations, and the general public. As one of the co-founders and now president of PMAC he continues to build awareness of project management and to encourage its development and evolution. I have known Kevin for a number of years, working with him on the board of PMAC, and also providing Agile project management training. I find him to be ethical, intelligent, straightforward, hardworking, efficient, strategic-thinking, a good communicator and educator. In short, I enjoy working with him."